It’s been seven days since the start of the holiday season, and the US Postal Service must be loving it. 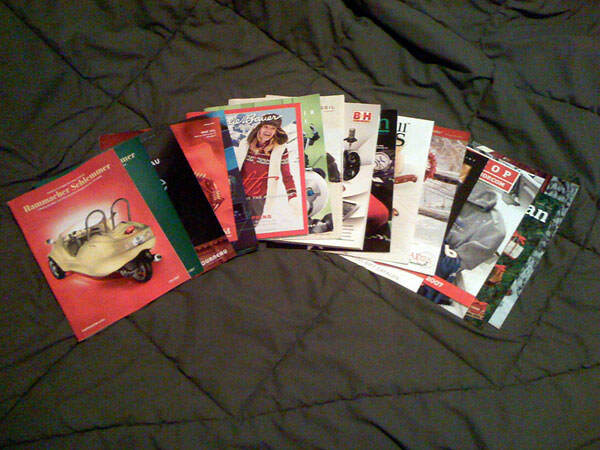 I say this because in those seven days, five of which are home delivery days (I haven’t gotten the mail yet today), I’ve gotten an astounding 18 catalogs. That’s an average of 3.6 per day. Together they’re about 2.75 inches thick, and comprise a ridiculous 1,582 pages.